Please see the bottom of the page and the highlighted text for full explanatory notes and helpful resources. ACT II SCENE II The same. MACBETH [Within] Who's there? what, ho! MACBETH I have done the deed. Didst thou not hear a noise? LADY MACBETH I heard the owl scream and the crickets cry. MACBETH This is a sorry sight. LADY MACBETH A foolish thought, to say a sorry sight. MACBETH But wherefore could not I pronounce 'Amen'? LADY MACBETH Infirm of purpose! MACBETH Whence is that knocking? There is really no change of scene here. Lady Macbeth enters the courtyard as Macbeth leaves it and waits there for his return from Duncan's chamber. Her soliloquy fills up the time during which the murder is performed and her dialogue with her husband on his return carries us on till the knocking at the gate shows that the day is dawning and the inmates of the castle awaking. 1. That which, etc. Lady Macbeth has fortified herself with a draught of wine against the strain of these terrible hours. This is another proof of her physical weakness. 5. the stern'st good-night. The grimmest good-night, or farewell. The owl's cry was then and long afterward considered an omen of death. 5. He is about it. Macbeth is actually committing the murder. 6. The doors are open. Lady Macbeth must have unlocked the doors into Duncan's room. Her words in lines [14, 15] show that she had been in this room after the king had gone to sleep. 5. the surfeited grooms, the drunken attendants of the king. 7. mock their charge, turn their care of the king's person into a mockery. 8, 9. The sleeping-potion which Lady Macbeth had mingled in the possets was so strong that the grooms were half poisoned by it. 11. Who's there? Macbeth utters these words as he is returning from Duncan's chamber. As he says in line , he heard a noise, and he probably thought for a moment that some one had surprised him. 13. the attempt and not the deed, an unsuccessful attempt. 16. Had he not resembled. This reference to her father is one of the few traces of womanly feeling that Lady Macbeth shows. It is a genuinely Shakespearean touch which saves even so wicked a character from utter inhumanity. 25. Hark! This line is usually accompanied in stage representations by a clap of thunder. This really detracts from the horror of the scene. Macbeth's nerves are so overwrought that he starts at imaginary noises. His next words show that he fancies he has heard a voice. 26. the second chamber, the room next to Duncan's. 27. Donalbain, the second son of Duncan, here mentioned for the first time. 30. There's. Macbeth is perhaps referring to the "second chamber." As he descended he heard some people in it talking in their sleep. 33. address'd them, turned themselves. 25. two lodged together. Lady Macbeth, who is trying to quiet her husband, remarks calmly that there are two men sleeping in the second chamber, Donalbain and an attendant. 37. hangman's hands, bloody hands. In Shakespeare's day the hangman not only adjusted the noose and pushed the victims from the ladder, but in cases of treason chopped up the bodies of the criminals. Thus this phrase suggested a vivid picture to Shakespeare's hearers. 38. 'Amen.' The phrase "God bless us" was used as a charm against witchcraft and the devil. Macbeth, who has sold himself to evil, cannot say amen to this prayer. 44, 45. thought After these ways, thought of in this fashion. 45. mad. There is a dreadful irony in these words; Macbeth is half mad already; and before the play closes, Lady Macbeth's strong mind breaks down utterly. Cf. v. i. 50, 51. nature's second course, Chief nourisher, etc. In Shakespeare's day the second course of a dinner was the most substantial. 52. What do you mean? Macbeth is talking so wildly that his wife cannot follow him. 56-60. Lady Macbeth tries to recall her husband from his ravings by pointing out the necessity for prompt action if they are to escape discovery. 59. witness, evidence; the king's blood which would testify to Macbeth's guilt. 70, 71. gild ... guilt. The pun on "gild" and "guilt" was doubtless plainer to Shakespeare's hearers than to us. Gold was regularly spoken of in the old songs as "red." Lady Macbeth's ghastly jest was perhaps intended to rouse her husband to a perception of his cowardice; he is afraid to re-enter the chamber of death, she is ready not only to go there, but even to jest about it. 72. knocking. This knocking is explained by the dialogue of the next scene. 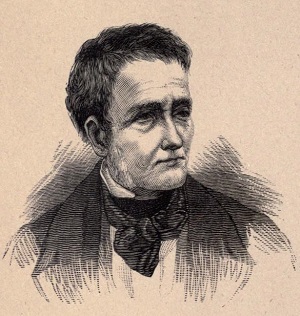 De Quincey has a famous essay upon The Knocking at the Gate in Macbeth, in which he points out that the knocking makes known that the reaction against the world of unnatural horror, which we have been contemplating, has commenced; that the pulses of life are beginning to beat again. The whole essay should, if possible, be read by every student of the play. 78. one red, entirely red. 81, 82. With these lines compare the broken utterances of the sleep-walking scene, v. i. 35, 39, 48, 49, and 68-70. 84, 85. Your constancy ... unattended. Your firmness has deserted you. 87. nightgown. In Shakespeare's day people went to bed naked. The "nightgown" was the garment they threw around them on first rising, corresponding to our dressing-gown. Lady Macbeth wants her husband to undress and put on his "nightgown" so that he may appear, when the alarm is given, just to have sprung from his bed. 87, 88. lest occasion ... watchers, lest necessity summon us, and reveal the fact that we have not been in bed. 90. To know, etc. This obscure line is an answer to Lady Macbeth's reproach that he is "poorly lost" in his thoughts. Macbeth says in effect that he had better remain lost, "not know myself," than awake to a full realization of what he had done, "know my deed." 91. I would thou couldst. This is the first note of genuine remorse that has appeared in Macbeth's speeches in this scene. Shakespeare, William. Macbeth. Ed. Thomas Marc Parrott. New York: American Book Co., 1904. Shakespeare Online. 10 Aug. 2010. < http://www.shakespeare-online.com/plays/macbeth_2_2.html >.